“Theological courage calls the inner-man to ignore his buckling knees and take theologically driven stances that, while potentially controversial, are righteous in nature.” So write Owen Strachen and Andrew Walker in a recent article discussing Hobby Lobby’s stance against Obamacare’s onerous trampling of religious liberty. The idea of martyrdom, be it physical, social, or financial, is a strange concept to the American mind. The word conjures images of ancient inquisitions, tyrannical princes, and subjugated peoples. In the modern context, we hear stories of brave souls standing up for liberty in the face of Communist regimes in North Korea and China or fundamentalist rulers in Iran and Pakistan. We certainly don’t think of a big box retailer nestled in the heart of the suburban American landscape. Americans are living in an age, however, where the actions of government increasingly come into conflict with Christian values. As issues like abortion and gay marriage continue to insert themselves into the cultural milieu, Christians and other traditional-minded Americans – including those of other religious faiths – find themselves marginalized and even demonized. The moral authority increasingly rests with those who control the narrative: Big Government, Hollywood, and the mainstream media. In the world of Barack Obama, George Clooney, Bob Schieffer and those like them, it is the folks at Planned Parenthood and the Human Rights Campaign who are on the right side of history. There is a war on for the soul of America, and the growing perception is that it’s the Christian remnant who are wearing the black hats. In the face of this reality, the language of martyrdom is once again becoming relevant. Modern examples of those who are being persecuted by the state or popular culture for their fidelity to their faith include the owners of Chick-Fil-A and Hobby Lobby. Both entities have been blacklisted by the reigning “moral authorities.” Both have paid the price for espousing their faith in the public square. 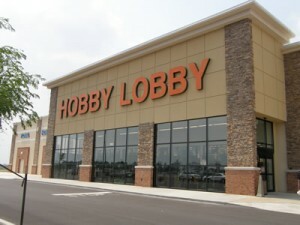 Right now the price may just be public opprobrium, or in Hobby Lobby’s case, fines. But as we allow government to burgeon, the price will undoubtedly get higher. As Strachen and Walker point out, look what happened in Nazi Germany. National Socialism grew and grew and gradually took control over every area of life. The church was timid and even complicit in the growth of oppressive statism and the persecution of “undesireables,” and soon there was little resistance from the wider culture. Dietrich Bonhoeffer and leaders of The Confessing Church were some of the only ones brave enough to say “no,” and ultimately paid the price of resistance with their lives. In America today, our culture is quickly crumbling as traditional institutions are weakened and hollowed out from within. We need people of courage and conviction to speak truth to power. People who will challenge the prevailing orthodoxy and speak with a clear voice of resistance. People who will show the rest of society that there is another and better way. In short, we need the Church. So the question to Christians across the country is, are we willing to speak up? Are we willing to resist, willing to speak truth to power? Will we refuse to render to Caesar that which is God’s, or will we roll over and let government steamroll all we hold dear? Resist the urge to dismiss such questions as paranoid hyperbole. That mistake has been made before. Let us learn a lesson from history and prepare ourselves to stand as defenders of the faith in the face of an antagonistic and increasingly authoritarian cultural and governmental regime.